Please come down to the Pioneer Hall and help clear the grounds- bring any tools that you feel would be useful (loppers, rakes, hedge trimmer, strimmer etc). Dress for the weather! Join the Group at the Chesham Bois War memorial, in this special event to commemorate 100 years since the start of World War 1 and afterwards at our own service in the Pioneer Hall. Please gather at the Pioneer Hall at 11:15. 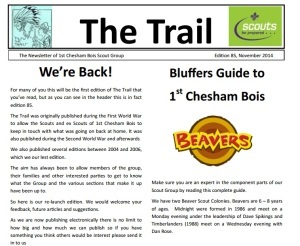 Members of the Scout Group (in particular young people) should come in uniform, with a poppy. Followed by soup and rolls. Our annual activity afternoon at the Pioneer Hall from 2pm- 4pm, followed by our world renowned Show and Raffle draw. Uniforms not necessary. Join the Group at the main door of Tesco in Old Amersham to sing Christmas Carols (songsheets provided!) and raise money for charity. 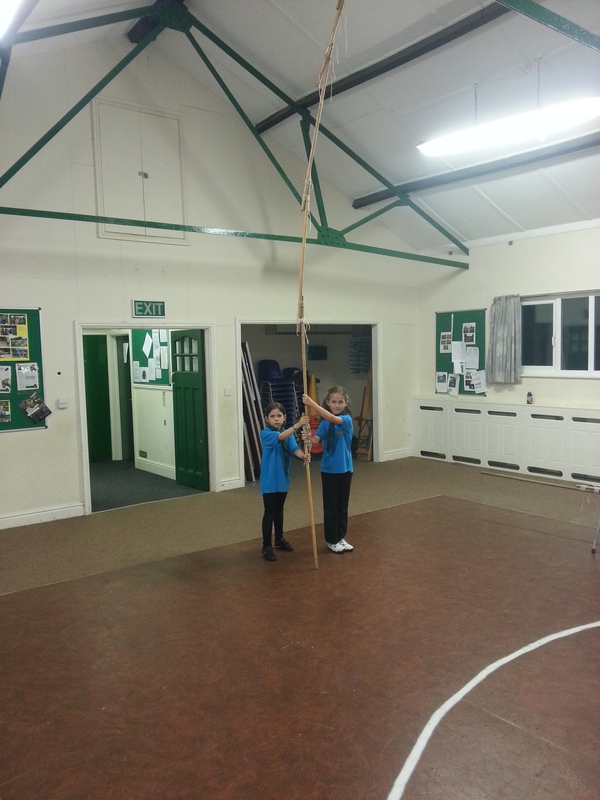 Members of the Scout Group (in particular young people) should come in uniform. 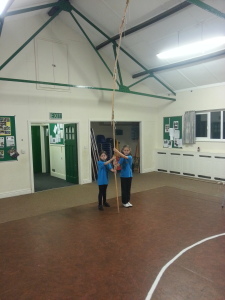 After spending the last few weeks learning various knots the beavers had a flagpole building competition. As you can see the winners ran out of room in the hall!